Foodista | IFBC SaMo Speaker Announced: Matt Armendariz! 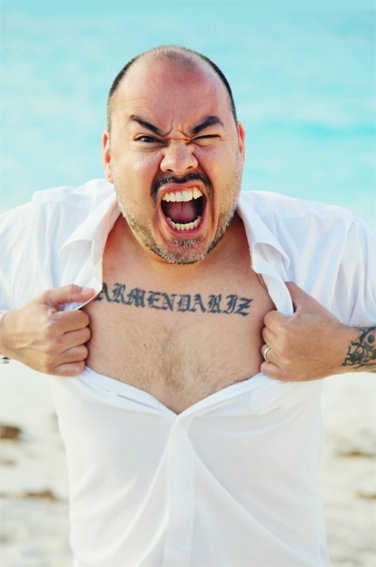 IFBC SaMo Speaker Announced: Matt Armendariz! It's a joy to announce that Matt Armendariz will lead the Food Styling and Photography session at the International Food Blogger Conference in Santa Monica! Matt Armendariz is a photographer, writer, avid traveler and blogger that specializes in food, drink and tasty spots all over the world. His food blog, www.mattbites.com, was voted as one of the Top 10 Food Blogs in the World by London's Times Online and was recently selected by GOOP's Gwyneth Paltrow as one of her 10 favorites food blogs. Mattbites focuses on all things flavorful and has been recognized by The New York Times, New York Magazine, Los Angeles Times, Saveur, Bon Appetit, Gourmet as well as tastemakers like Tori Burch, Design*Sponge and a variety of food and lifestyle editors. With appearances on the Martha Stewart Show, Paula Deen’s Best Dishes, Gordon Ramsay's Hell Kitchen and various Food Network and Cooking Channel shows, Matt's motto is that he's a "man obsessed with food, drink and everything in between." As a professional food photographer, his work as appeared in the pages of Bon Appetit, Time Magazine, Coastal Living and online at Martha Stewart and Food Network, as well as a variety of editorial and advertising assignments. He recently photographed a new global campaign for Coca Cola and the 2012 Olympics, coming out next year. His first cookbook, On A Stick!, was released in May of this year. He lives in Los Angeles with his partner Adam Pearson, a food stylist. You can find Matt online at www.mattbites.com. See his portfolio at www.mattarmendariz.com.